You are here: Home / Frontpage Article / The 5 lakes, 5 evenings, 5 runs, Marathon Challenge 2019. 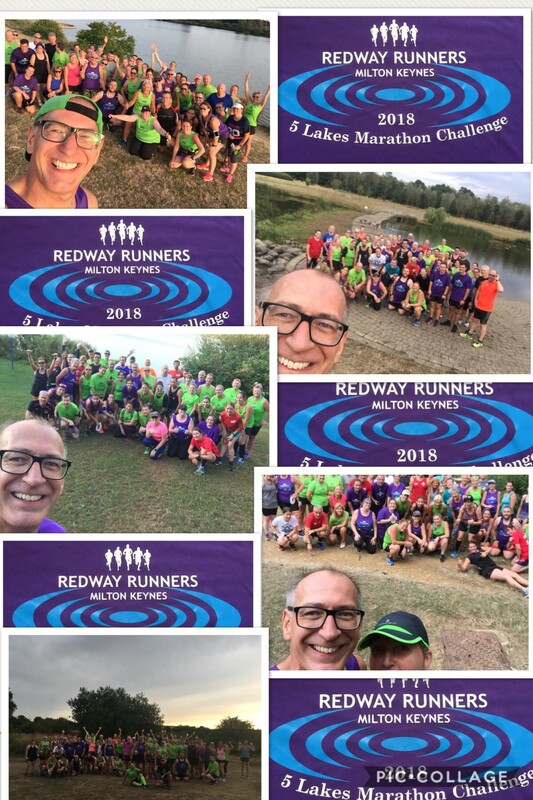 Starting week commencing 5th August 2019 for Redway Runner members. The 2018 event was great fun and we had 28 people achieve the challenge. Summer evenings exploring the beautiful lakes of Milton Keynes. Gradually increasing the distances to cover a Marathon distance in the week finishing at the Pub on The Lake at Willen for a celebratory drink. We have changed the Blue Lagoon for Wolverton Mill for 2019. 18:30 starts. We will keep to the redways and add in some surprise extra lakes. All runners are welcome. No one left behind as we will do loop backs to keep everyone together. Friday 9 Aug. 10k at Willen Lake from The Pub on the Lake, Willen Lake.